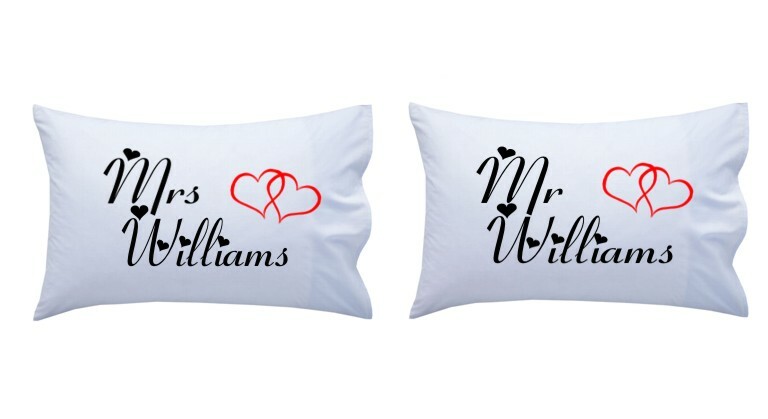 Personalised White Mr & Mrs Pillowcases. These lovely white 'cotton feel' 100% polyester pillowcases measure 76 x 48cms. Printed with the words Mr & Mrs, including the heart detail too. All you need to do is advise us of the surname to be printed. A perfect unique gift for the Newlyweds! Please note no pillows are included. We have mugs and other items to match this range too!